Neoliberalism is not as popular as its opponents seem so much to fear; in democratic politics it nearly always hides behind other ideologies and policy types, as its essential message that we should pursue no goals that cannot be achieved through the market is intrinsically unattractive to the majority of people. Its power lies in the wealth of its key supporters, and in the difficulty of raising coordinated opposition to it among post-industrial populations that have little sense of their political interests. The main base for hope of change in this comes from the as yet unrealised potential of women’s movements. 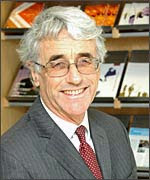 You can read Colin Crouch's full article for free here.